Published in 1998 by the author’s own Pebble Green Publications in Chennai, India. It was late April and I was browsing the cookery shelves of a bookstore in Mumbai. Like all avid collectors of one thing or the other, I have learnt to quickly pick grain from chaff. My expertise is, of course, aided by the fact that the food-and-drink sections of all mainstream bookstores in India look alike: piles of publications from serial cookbook writers and compilers, a few guides to eating in city XYZ, coffee-table tomes from foreign publishers, and “chef’s series” pocket books. I rapidly scan the spines of these books, eyes peeled for the unusual or the local. That day, however, I flipped through “Cooking in Six Minutes” by one of the aforementioned copious authors. A few books down the shelf, I came across “Cooking in Three Minutes” by the same author. I wondered how far this series would go, and sure enough, out tumbled “Cooking in 60 Seconds”. Just like all problems of this world can be solved if you smile and think positively, so will you be relieved of your kitchen burdens if you think of cooking as the time that a pot spends in contact with the stove. Maybe it was the blistering summer heat or maybe I had looked at one cookbook too many, but I suddenly felt weary of the pervasive silliness of the food publishing world. For an antidote, I turned to two things: slow, sun-cooked pickles that would take days or weeks before they were ready, and a cookbook narrow in its focus, yet unmatched in range and depth. Usha’s Pickle Digest is the definitive book for Indian pickles; the first and probably the last word on vegetarian pickles, unless the author publishes a second volume. There is not much I can say about the Digest or about Usha that has not already been said elsewhere. One vaguely knew that India has a vast repertoire of traditional pickles, but one did not know that a thousand pickles across 131 ingredients are within the realm of possibility. One had heard of mango pickles, lemon pickles, chilli pickles, tomato pickles, even okra pickles; but pickles made out of coconut, kokum, hibiscus flowers, artichokes, sugarcane, pomegranate, or spinach were beyond our imagination. All the recipes rely only on natural preservatives such as salt, oil, vinegar, and spices. The life of each pickle is indicated at the end of the recipe. There is also something very satisfying about the meticulousness with which the recipes have been titled and indexed for easy access. Even if pickles do not tickle your culinary fancies, the book offers plenty - an extensive glossary of ingredients in ten languages along with botanical names, methods to detect adulteration, buying and storage guides, and several other practical kitchen tips. The best part of this book for me personally, however, is the profound sincerity of purpose underlying this work. The Digest was published neither for fame nor money. Usha’s patent enthusiasm and desire to share the results of her pickling research is the driving force of this book. We tend to romanticize secrecy in the culinary arts. Prized recipes and techniques are either kept shrouded in mystique or published omitting an ingredient here or instruction there. Clearly, the recipes and kitchen wisdom in this book have been developed through years of diligent and sustained effort. That she went the several extra miles to present her knowledge in a clear and forthcoming manner indeed commands our respect. It is also why we keep rummaging tons of chaff in search of a few precious grains. Sprinkle salt on the mango pieces and marinate for a day. Next day, remove the mango pieces from the resulting juices (â€œsalt waterâ€). Reserve these juices in a refrigerator. Place the mango pieces on a steel tray or thali and sun-dry for four days (till the mango pieces are three-fourths dry). At the end of the fourth day, roast in a little oil the fenugreek seeds, cumin seeds, and asafoetida and grind to a powder. Combine with the chilli powder and add this spice-blend to the dried mango pieces. Heat the sesame oil, add the mustard seeds and curry leaves, and allow to crackle. Pour in the salt water and an equal volume of plain water. When the mixture begins to boil, stir in the mango mixture. Let it come to a boil again, and then remove from heat. The pickle is ready to use after five days. It lasts for six months. I have presented the ingredients as originally provided in the book. When I prepared this pickle, however, I had neither measuring cups/spoons nor a weighing scale handy. I kept tasting throughout the process. You can adjust the spices according to your taste and the tartness of the mangoes, but please do so in a way that maintains the balance of flavours. The primary tastes in this pickle should be sour, chilli-hot, and salty. Published in 2007 by Manipal Mahila Samaj at Manipal, in Karnataka, India. The cooking of our mothers and grandmothers is the bedrock of our gastronomical worlds. It feeds our memories and inspires our culinary efforts, particularly if we are separated from it by distance or, more unfortunately, death. “Just like Amma makes” is the gold standard to which most of us aspire. It is understandable, therefore, that we have forgetten a time when easy and daily access had rendered us somewhat blase about the traditional foods they prepared. We were tired of the idli breakfasts, the pumpkin koddel was boring, the maggey with jackfruit seeds was fodder for the resident comedian at family gatherings, and why, why, did we have to eat moong daal paayas on every festive occasion! What excited our palates and fired our appetites in those days were the dishes sent over by the neighboring aunties: we waited eagerly for the biryani from Salma downstairs, the fudge, marzipan, and cakes sent over by Mrs. De Souza, the sambar from Mrs. Ananthraman, the bisi bele bhaath from Mrs. Rao, the kori-rotti from Mrs. Shetty and the khakra-chunda from Mrs. Parekh. Even dishes from their failed experiments were sometimes more welcome than the daily food prepared at home. Eating out at restaurants was a luxury and street food, a surreptitious pleasure from leftover pocket money in those days, so the only way to sate our hunger for something different was the gifts from neighboring kitchens. I was reminded of those times when I received the Manipal Mahila Samaj’s cookbook, Regional Rustic Recipes, through the good graces of a friend and old-time resident of Manipal. The Manipal Mahila Samaj publishes an annual magazine for its members; last year, they decided to compile a special issue with recipes contributed by the members. The result is a charming little cookbook with all the strengths and foibles of a homegrown production created in the spirit of community and sharing. It is a ticket to the kitchens of the neighborhood ladies of my days in India. -	Religious proscriptions: no onions and garlic. Within the chapter on Goud Saraswat Brahmins, the recipes are Kerala-style, Maharashtrian, North Kanara, and South Kanara (Udupi-Mangaloreans); and within No Onions & Garlic, there are the Gujaratis, North Indian Jains, South Indian Jains, Kannadiga Brahmins and UPites (Uttar Pradesh)! Kannadigas and Gowdas sit in their own chapter, and perhaps as a nod to the mother state, there is an entire chapter on Karnataka rice items. The recipes themselves are another strength of the book. They are tried-and-tested, authentic, and do not shy away from using exotic ingredients or difficult procedures. Make no mistake, this is a recipe exchange between cooks who have wielded the ladle for decades. Consequently, this is not a book that is intended for beginner cooks or those inexperienced in regional Indian foods. The text and layout are minimalist, and there are no photographs or sketches inside the book. Neither the contributors of the recipes nor the editors are named; I was told that this was a conscious choice because for many of the recipes, there was no way to attribute the source in an unambiguous manner. The style of writing is reminiscent of handwritten recipes with their terse instructions and use of truncated and abbreviated words such as ing, tsp, min, and pwd. Further, the errors (dagad phool and marathi moggu are said to be the same spice) do not irritate me as much as the banalities (Food is very important in Sindhi culture). For all its minor flaws, the book is a welcome addition to the seemingly bare landscape of not-for-profit cookbooks in India. By not-for-profit, I am referring to books published by local temples or churches, community organizations, and women’s associations or other groups, with the express purpose of raising money for a social cause or spreading awareness about a particular type of diet or cuisine. I cannot explain my fascination for such cookbooks - perhaps it is the community effort, the sincerity of purpose, or the local flavours that are sprinkled in these works. Over the last year, I have managed to collect some such books by scouring used bookstores and old paper marts in India. The pickings, however, have been slim compared to the volumes of such (non-Indian) publications seen at used-book sales and stores in the United States. Granted that these types of books are typically published in single editions on a small scale with limited distribution; hence, they go out of circulation very quickly. Perhaps the U.S. systems just do a better job of retrieving old copies of such books. It is probably not a stretch, though, to say that there is room for much more activity and many more books in this sphere in India. Cook the toor daal and set aside. Roughly chop the green chillies, garlic, onions, and tomatoes. Place in a saucepan or any other cooking vessel along with a half cup of water. Cook until the vegetables are soft (about 5-10 minutes) and remove from heat. Remove the cooked vegetables with a slotted spoon, leaving the liquid in the saucepan. Once the vegetables are cool, add the coconut and grind to a paste. Add the roughly-chopped greens to the reserved liquid, and cook the greens until wilted. Cool them and run them through a mixie just once. Mix the cooked daal, the coconut-vegetable paste, and the roughly ground greens in the same saucepan, add salt, and bring it to a boil. Remove from heat. Do the tempering as usual: heat the oil, add the mustard seeds and let them splutter. Add this mixture to the daal-greens mix. I modified the original recipe by reducing all ingredients, except the greens, by half. While I have encountered several recipes with daal, greens, and vegetables, I like the separate cooking processes adopted here as it accounts for the differing cooking durations required for each ingredient. The complete absence of powdered spices also scored a few more points in my book. The original recipe made no mention of salt, which is probably an oversight. Traditionally, salad or koshimbir has formed a small part of main meals in India, taking its place alongside pickles and chutneys. This probably explains why preparing salads has always flummoxed me. Grains, vegetables, and lentils formed a complete meal, and salads were the step-children on my thali. I managed with the usual suspects - chopped tomatoes and onions with a splash of lemon juice and salt; grated cabbage and crushed peanuts with a splash of lemon juice and salt; steamed beetroot and grated carrot with a splash of lemon juice and salt; *yawn* and so on. I did not fare any better at the elaborate salad bars in U.S. restaurants and cafetarias. With the seemingly endless choices, one never quite knows when and where to stop piling one’s bowl. The end result was always a mishmash of ingredients, all of which I savour individually, but were disastrous together. I also have a distaste for the usual dressings, based as they are in oil and vinegar. I was not interested in the plethora of salad books found in the American bookstores. Since our main meals at home are always Indian, I needed a book that used Indian ingredients, and produced flavours that would not clash with the other parts of our meal. I had purchased Varsha Dandekar’s Salads of India many years ago, and while it is an excellent cookbook in other respects, it is not about salads. Most of the dishes were really sukhi bhaji (dry vegetable preparations without gravy). There are other books on salads published in India, but they usually just reproduced Western salads. Vijaya Hiremath’s book, which I almost ignored at the bookstore due to the rather bland title, has ended my days of salad ennui. The book is completely vegetarian, with over 50 salad recipes using a wide variety of easily-available ingredients. Sprouts prepared from whole grains and beans play a prominent role in many recipes, a feature which raised the book several notches in my estimation. Hiremath presents several fresh and innovative combinations of vegetables, fruit, greens, nuts, and sprouts. For example, Country Garden Salad, a jaded menu item that evokes images of limp lettuce and cottony tomatoes, appears in an elegant and attractive avtaar in this book. It is made with tender fenugreek leaves, white radish, carrot, cucumber, tomato, onion, and roasted sesame seeds and dressed with lemon juice, minced garlic, fresh grated coconut, cumin powder, and salt. The dressings are sauces prepared from fruit, vegetables, or dahi; chutneys or dry masala powders. The layout of the book is user-friendly: one recipe per page with the nutritive value for each recipe provided at the bottom. There are plenty of photos, which are mercifully devoid of Indian artifacts and fabrics cluttered around the food. The recipes use a combination of weight and volumetric measurements, which might pose a problem for those readers used to measuring in cups and do not own a kitchen scale. The instructions are terse and lacking in nuances. For example, greens and vegetables being used in salads must be properly rid of excess water after washing them; otherwise, it dilutes the dressing. Novice cooks might not realise this and the recipes do not include such instructions. The book also suffers another deficiency that is common to some cookbooks produced in India: absence of an index, which forces you to scan the entire table of contents if you are pondering over what to prepare with a particular ingredient. Each recipe, with calories ranging from 250 to 350, is supposed to provide one meal for a single person; but, small eaters might find the quantity too large to be consumed in one sitting. All these drawbacks, however, are minor irritations and easily overlooked once you taste the delicious and nutritious salads made from this book. To prepare sprouted wheat, soak them overnight in plenty of water. Next morning, drain the wheat, and place the grains in a clean muslin cloth. Hang the muslin around your kitchen sink tap, and sprinkle the cloth with water. The wheat should sprout in two to three days in mild to warm weather. During this period, sprinkle water occasionaly if the muslin looks dry. Centre: Spinach and sprouted wheat. Clockwise from left: carrots, cabbage, tomatoes, dahi with minced garlic and salt, roasted sesame seeds. 1. Shred cabbage finely. If spinach is tender, use whole leaves; otherwise chop roughly or break into pieces with your hands. 2. Cut carrot into small pieces. 4. Beat curds. Add garlic and salt and mix well. 5. Combine vegetables with sprouts. 6. Arrange spinach leaves on a flat dish. 7. Spread vegetable mixture over the spinach. 8. Pour curd mixture over the vegetables. 9. Sprinke sesame seeds before serving. Last year, in anticipation of a long stay in India, I began organizing my collection of food-related books into a catalogue. As far as collections go, my cooking library is fairly modest with around 200 books. The catalogue, however, reveals a pattern that is, by and large, a reflection of my culinary inclinations. 95 percent of the collection relates to the food of India. Of these, only four or five cookbooks are published outside India. Hardly two of the cookbooks describe themselves as Indian cookbooks. There are zero books on fusion food. Before someone reiterates the profundity that all Indian food is ultimately fusion food because chillies and tomatoes were brought to India by foreigners, let me hasten to add that I am referring to fusion as we know it today. None of the books are written by professional chefs or owners of restaurants serving “authentic Indian” cuisine; a miniscule number are written by serial cookbook authors; and none of them promise a meal with three ingredients in less than 20 minutes. Infer what you will from these facts, but one thing has become amply clear to me over the last fifteen years since I began collecting these books. There is a vast body of English and regional-language cookbooks published in India by small publishers or the authors themselves. Most of these modest cookbooks never make it to the shelves of the large mainstream bookstores even in India. They have to be ferreted out of small local bookshops, from publishers’ offices, or directly from the authors. It is, however, here that the best Indian cookbooks are to be found, for they are authored by individuals who cook for their families, love their subject and are willing and able to communicate their knowledge. For a number of reasons, these books lie largely below the radar of the traditional media, the internet, and the large chain bookstores. First and foremost, cookbooks in regional languages rarely gain a readership outside the geographical state or community that is literate in those respective languages. Even among the books written in English, which have the potential for wider demand, the authors often lack the means, inclination, or savvy to grease the media and marketing machinery into their service. Therefore, most of these books do not get the benefit of newspaper and magazine reviews or grand releases with a celebrity cutting the ribbon. Last and least, as is true of most things these days, medicrity abounds here too. Some of these books probably deserve their share of oblivion for their poorly written recipes, terrible photos, and quite simply, bad food. So what makes a good cookbook? Culinary enthusiasts have long debated this in forums, blogs, conferences, and articles. The answers vary depending on whom you ask. A publisher will tell you that it must reach out to a large readership base. Young men who “also cook” love books with pictures of female chefs bending over the pot and licking the spoon. Twenty-and-thirty-something women want to see, above all, lovely photographs of the food. The inexperienced want clear instructions that leave nothing to culinary imagination or wisdom. The reluctant cooks wait for books that will fire their dormant enthusiasm and catapult them from couch to kitchen. The ignorant want books that “comprehensively” cover the “ethnic” cuisine that catches their latest fancy. The purists look for authenticity; the apologists throw up their hands in the air and ask, “what is authenticity”? Notwithstanding my somewhat flippant tone above, this is a serious question with no easy answers, which is why I have never understood the rationale behind lists such as “Five Best Indian Cookbooks”. Perhaps they serve a purpose in guiding those who are completely new to Indian cuisines. As someone who has grown up on home-cooked Indian food and now cooks it almost everyday, there really is no one (or even ten) great Indian cookbook. My culinary needs vary at different times: on some days, I want to spend three hours making a biryani in 20 difficult steps; on other days, I want to quickly find a new way to use up the five drumsticks and two brinjals sitting expectantly on the kitchen counter. There are days when I would rather lie on the couch and read about the old days when Indian kitchens did not have pressure cookers and mixer-grinders. I might be curious about how Kolhapuri mutton rassa is made although I am vegetarian and would not eat the dish except under extreme duress. Above all, I need Indian food books to keep feeding my interest in the subject almost daily for the more you explore it, the more acute the realization of how little you actually know. Therefore, I will not attempt to define my criteria for a good Indian cookbook. In this series, I will highlight some selected books from my personal collection. These books are not likely to win awards or cookbook contests and they are not without their faults, but each one has some trait that I value in a cookery book. The series is also a small way of putting the spotlight on cookbooks that deserve more attention than they have received in the media. Since my literacy is limited to English, Marathi, Konkani, and Hindi, my collection is entirely comprised of books in these languages. I would love to hear from readers about their favourite lesser-known cookbooks in these and other regional languages. “Ruchira ~ Selected Maharashtrian Vegetarian Recipes” by Kamalabai Ogale is a sweet little cookbook that I have been using for just over a year. The cookbook is an English translation of 25-year old original by the same name “Ruchira” in Marathi language. Ruchira is chock full of honest content. A total of 94 recipes in 11 categories, nearly all recipes are within reach of competent home cooks. Many recipes are quite simple to prepare, the instructions are easy to follow and the rewards are great. The difference is not in the dishes offered, but in the ingredients and how the Marathas use them. The text should be read first to get a feel for the Maharashtrian cooking. Then head for the kitchen to cook one of the divine recipes. Next to going to Maratha heartland, Ruchira offers a great way to treat ourselves to cooking real Marathi way. If you are looking for a book that will teach you to cook the best Maharashtrian food, then I will definitely recommend Ruchira. It’s a precious little gem! “Sprouted Beans Usal” from Ruchira cookbook has become one of my favorite recipes. What makes this recipe standout from our own Nandyala style moog bean curry recipe is the addition of kala masala, and jaggery. Subtly spiced and well balanced, Iâ€™ve become a loyal fan of sprouted beans usal. 5 peeled garlic cloves, 8-10 green chillies (small, Indian type), 1 teaspoon cumin and two to four tablespoons of grated fresh coconut. Heat a teaspoon of oil in a big saucepan. Add one cup each - moong, moth and red chori sprouted beans. Add about three cups of water. Cover and simmer the beans, until they reach fall-apart stage. To the cooked beans, add the ground paste. Half teaspoon each - turmeric and salt. Mix and simmer another five minutes. If the Usal(curry) looks too dry, add about half cup of water. While the beans are simmering with spices, do the tadka in a small pan. Add the tadka to the sprouted beans. Mix and turnoff the heat. Sprouted beans usal tastes great with chapatis/rotis/parathas. Thanks for this lovely gift Veena! I’ve prepared Kala Masala following the recipe outlined here. Recommend “Ruchira” to local libraries. Veena Parrikar is a dear friend of Mahanandi and me and an occasional guest author on Mahanandi. Her first article was on Iceland. This is her second article, an insightful and engaging cookbook review. I thank Veena for this wonderful contribution! There are perhaps as many misconceptions about Indian cuisine as there are restaurants named “Bombay Garden”. Indian food is tandoori chicken, aloo-matar, saag-paneer, and naan. It is hot and spicy. Vegetables are cooked to death. One can hardly blame the Western and even some of the Eastern world for harboring these notions. Most Indian restaurants outside India serve the same tired old fare under various guises. The exceptions to these are the upscale “fusion-Indian” restaurants; after all, Indian food cannot be admitted into the Michelin club without a French or “contemporary” accent (pun intended). Over the past few years, South Indian restaurants have slowly gained ground and it is not uncommon to see a Chinese eating masala dosa with her bare hands or a middle-aged white guy slurping rasam at the neighborhood Madras Cafe or Udupi Palace in the USA. The silly notions about Indian food, however, are far from being a thing of the past. For example, the threat of homogenization, albeit of a different kind, hangs heavy like the odor of yesterday’s takeout. The complexity and variation among and within the cuisines of the four states of Southern India (Karnataka, Kerala, Tamilnadu, and Andhra Pradesh) could never be guessed if one were to go by the menus of these South Indian restaurants. Most of them do not stray far from the familiar idli, vada, masala dosa, uttappam, sambar and rasam, with an indifferent nod to some rice varieties, such as curd rice, lemon rice and tamarind rice. Desserts are still “balls in sugar syrup” (gulab jamun), “ricotta cheese in evaporated milk” (rasmalai), or the occasional rava kesari, leaving in the cold a rich repertoire of jaggery-based sweets that is one of the hallmarks of the cuisines of Southern (and some other states of) India. To be sure, even within India, availability of the authentic, traditional fare is limited to small niche restaurants, special festivals at star hotels, or if you are lucky, at the homes of neighbors and friends from other communities. Your best bet then, is to recreate many of these dishes in your kitchen, with the help of such cookbooks as Meenakshi Ammal’s Cook and See, Chandra Padmanabhan’s Dakshin, Saranya Hegde’s Mangalorean Cuisine, Saraswat Mahila Samaj’s Rasachandrika, and Jigyasa-Pratibha’s Cooking at Home with Pedatha. A new addition to this stellar lineup of traditional Indian cookbooks is Ammini Ramachandran’s Grains, Greens, and Grated Coconuts: Recipes and Remembrances of a Vegetarian Legacy. Ammini’s book fills a lacuna in the Indian cookbook landscape. Books on the cuisine of Kerala abound; however, most of them have a predominance of seafood dishes. Small wonder then that Kerala food, like most other coastal cuisines, is perceived to be primarily non-vegetarian. One food writer and journalist in India even declared that most Malayali vegetarian dishes are terrible! One knows, of course, not to take such statements without the proverbial pinch of salt, and a large one at that. Having encountered the delectable and varied vegetarian fare of the coastal cuisines of Goa and Karnataka, I had always suspected a similar treasure existed in Kerala. Eating and learning it, was another matter altogether, what with the lack of Kerala-food restaurants, close friends from the state, or opportunities to set forth on a voyage of discovery to its shores. With Grains, Greens, and Grated Coconuts, some of the vegetarian food of Kerala is now just a coconut (or two) away. The present state of Kerala was formed by the merger of Kochi (Cochin), Tiruvithamcore (Travancore), and Malabar. Each of these regions, originally Hindu, was subject to varying degrees of Muslim and Christian influences. Accordingly, Kerala cuisine represents the confluence of Hindu, Muslim, and Christian traditions. Grains, Greens, and Grated Coconuts presents the traditional vegetarian cuisine of central Kerala including some from the Kochi royalty. It is one of the first cookbooks to focus on a Hindu culinary tradition of Kerala. 1. Traditional food, when presented for a worldwide (read Western) audience, undergoes a simplification, motivated largely by the authors’ and publishers’ goal to widen the book’s market reach. Recipes are modified to exclude exotic or not-easily-available ingredients; difficult processes might be eliminated or substituted with commercial alternatives; and dishes that do not conform to the health fad of the day might be passed over. Except for a few dishes, food from Kerala is obscure even to many Indians, leave alone the non-Indian readers. Ammini has barely made any changes to her family recipes, yet her presentation makes them seem extremely do-able. She does not hesitate to include preparations with such exotic vegetables as breadfruit, jackfruit, and suran. Ammini has pulled off a seemingly impossible feat in Grains, Greens, and Grated Coconuts: she has preserved the originality of her traditional family recipes, and made them accessible to those outside the tradition, without overwhelming the reader with tedious detail. Novice cooks might miss having pictures of the finished dishes; the clarity of instructions, however, make up for this to a very large extent. 2. There is none of the anything-goes attitude to ingredients adopted by many modern Indian cookbooks published in the West. No false assurances are provided about difficult ingredients such as coconut milk. She tells us that coconut milk powder can be used instead, but clearly informs that the taste will not be authentic. We are told right at the onset: “My mother always insisted, “Never skimp on the quality or quantity of ingredients,” and I believe it is the first lesson in good cooking.” This is reflected in the meticulous detail provided in the chapter on ingredients. 3. Ammini’s family recipes create dishes that would go a long way in dispelling some of the popular myths about Indian cuisine. Spices are used in skillful moderation (garam masala powder never makes an apperance in this book), the vegetables and grains hold their shape and retain their flavour, and you will encounter delicate and subtly-flavoured curries that will never be found in a restaurant. 4. There is a detailed chapter on the history and development of ancient spice trade in Kerala, and to those who have not previously enquired into such matters, this chapter offers many surprises. The book also provides a very engaging account of the kitchens, culinary customs, and festivals and celebrations of Ammini’s maiden family. A world that is now almost extinct rises vividly from the pages and for a brief while, you forget the harried and hurried pace of your existence (and the pre-made frozen food in your kitchen). This is a serious yet enjoyable work, not just another cloying food “memoir” that is in fashion these days. The book has been written for a Western audience, but readers in India will find much of profit. Such ancient traditional recipes do not come by very often. I am no alarmist, but it seems as though our traditional cuisines will soon exist only within the homes of determined souls or in five-star hotels. Even wedding feasts in India - the last stronghold of traditional food - seem to have embraced a global integration philosophy: Mushroom Pasta and Gobi Manchurian now jostle for buffet space with tava vegetables, Spanish rice, and Shahi Paneer. Our culinary traditions, not unlike our ancient classical music, have been poorly documented for far too long, what with the practitioners jealously guarding their treasures from outsiders for various reasons. With the passing of generations, more and more of this body of knowledge will be lost. We hope there will be many more Amminis, who will not only document their family or community recipes painstakingly and truthfully, but also share it generously with others. I was intrigued by this recipe as it did not include sambar powder, and at first glance, seemed similar to some of my daal-vegetable preparations. The finished dish was neither like the familiar sambar nor my usual daal-with-vegetables. With powdered spices (except asafetida and turmeric) as well as ginger-garlic absent, the flavour of toor dal is allowed to hold centerstage, complemented by the freshness of the potatoes, herbs, and lemon juice. I stayed faithful to the recipe as I am wont to do when attempting traditional recipes for the first time. There is a slight error of omission in the recipe, but a missing pinch of turmeric is not a show-stopper. Wash and clean the toor dal in several changes of water, until the water runs clear. If you are using oily toor dal, the oil must be washed off before starting to cook. Place the toor dal in a saucepan with two and a half cups of water and a half-teaspoon of turmeric powder. Bring it to a boil over medium heat, then turn down the heat, and cook for twenty-five to thirty minutes. (As an alternative, you may use a pressure cooker to cook the dal, following the manufacturer’s directions. It will take about six to eight minutes to cook in a pressure cooker.) As the dal cooks, it should be fairly thick but still liquid; stir in another half-cup of water if it is too thick. Mash the cooked toor dal thoroughly with a spoon, and set it aside. Combine the potato (or taro), tomatoes, salt, turmeric, and two cups of water in a saucepan over medium heat, and bring it to a boil. Stir in the cilantro, fenugreek, and green chilies. Reduce the heat, and cook until the potatoes are fork tender. Stir in the cooked toor dal, and simmer for four to five minutes. Stir in the lemon juice. Remove it from the heat, and set it aside. allow the flavors to blend. Serve hot with rice and a second curry. Makes 4 to 6 servings if served with another curry, as is traditional. Ammini Ramachandran’s website : Peppertrail.com. 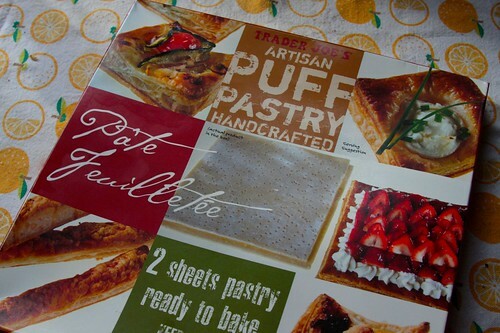 For a detailed list of contents and exceprts from the book, see www.peppertrail.com. Seattle’s public library system has the biggest collection of cookbooks I have ever seen, and it covers a gamut of traditional and contemporary cuisines. Whenever all-day rain is in the forecast, I pack up a bag and hike to the library to spend the day. The library is spacious, vibrant, well-lit, and equipped with WiFi system. We can either browse through the bookshelves or sit in a corner and surf away on laptops. Stepping inside the library is my way of shutting out the gloom and grayness of winter, so I go. One such day last week, I was in the cookbooks aisle, my usual hangout place at the library. Flipping the pages of various cookbooks, trying to decide which deserved the 10-minute trek back home. I usually place cookbooks into two categories. Books that are worthy of the paper they are printed on and books that would make even the docile trees of the rainforests cry. After all the sacrifice made of these gentle giants in the name of nourishing the human mind, the trash printed in the name of food and sustenance would make any decent person weep with disgust. We have to pulp the green to mint the green, I know that, but some cookbooks are truly a violation of everything that the rainforests stand for. But I digress. So here I was in the pursuit of cookbooks worthy of my energy. The Seattle public library did not disappoint me. I found one that made me stop looking further. The book was titled “Tandoor - The Great Indian Barbeque”. It is not often that one finds a cookbook dedicated to a cooking technique as ancient as the 5000 years old tradition of tandoori. I had to pick it up. What a wonderful use of my time it was to read that book! “Tandoor” is written by Ranjit Rai of New Delhi. He had diligently detailed a manuscript on tandoor cooking, but had passed away before it could be published. His daughter and his best friend together edited and completed the publication of the book. I can truly say that this cookbook is like the Bhagavad Gita for connoisseurs and lovers of fine cooking. Everything one would ever want to know about tandoor, the kartha, karma, kriya are described in detail. The first part of the book is dedicated to the history and different types of tandoor. Useful tips and tricks - how to construct a tandoor in your backyard, and how to adapt tandoor-style cooking to an apartment kitchen - are recited in eye-opening detail with captivating pictures. The second part of the book is about the karma, the basic work and preparation needed for tandoor cooking. Different types of tenderizers, marinades and masala powders that add special touch to tandoori dishes - what, how and why - are narrated with scientific explanations. Part three includes tandoor recipes for poultry, lamb, fish, vegetables, and breads. The book has a total of 105 recipes and each recipe is accompanied by one or two photographs of either the preparation stages or the finished product. Classic crowd-pleasers such as tandoori chicken, cocktail kababs, masala chops, tandoori jhinga, and paneer tikka along with kababs and tandoori rotis - you will find them all in this book. In spite of coming from a family with non-vegetarian food traditions, I have consciously avoided meat all these years. But even I cannot resist a masala tikka if it is cooked and served in the manner described in this book. That tempting! Whether you are a culinary enthusiast or simply browse cookbooks as a pastime, if you ever come across this book in a bookshop or at your local library, please stop and pick it up. Mr. Ranjit Rai’s meticulousness and passion will leave you awestruck, as it did me. What a wonderful tribute to the timeless tradition of tandoor cooking! Well done! My vinamra namaskar to the father and daughter team. Like the author’s family, we too grew up with the tradition of indulging in green chickpeas (hare chane) during season. Like fresh peas of spring, green chickpeas taste wonderfully sweet with the delicate, earthy scent of the motherland. Fresh foods like these belong to a special category and the associated memories always make them irresistibly spectacular to me. Seekhs/kababs prepared from fresh chickpeas, without a doubt are a great tandoori snack item. So here is a recipe from the “Tandoor” cookbook, adapted to my apartment’s electric-powered oven. Add hung-yogurt and salt to taste. Mix and cook on low heat, until water evaporates from yogurt. With the back of the wide, slotted spoon, mash the whole thing to coarsely smooth consistency. Sprinkle besan flour and mix. Let cool. Oil and wipe the skewers. Shape the mashed chickpeas into chilli shape directly onto the skewers. Apply gentle pressure while shaping the kababs. Place skewer on a baking pan. Once ready, place the pan in oven and broil, each side for about 4 to 5 minutes. Using a fork and fingers, carefully turn each kabab to opposite side for uniform cooking and broil to pale gold color. Serve hot with a cup of yogurt and some grilled pearl onions/small shallots. My Entry to “Saffron, White and Green” Event at Puja’s My Creative Ideas. Book Cover, Ranjit Rai photo and “Ode to the Tandoor” poem is taken from “Tandoor” cookbook (Copyright:Anuradha Ravindranath) for review purpose. Recommend this book to your local libraries. Recently I have received a cookbook to review. The title of the book is “Cooking at home with Pedatha”. Atha (or attha) means father’s sister in Telugu. Pedatha means eldest Atha. After grandparents, Pedatha, an authority motherly figure is the most important person and pedatha’s advice and asheerwad (blessings), are always sought in our homes during difficult times and for celebrations. We respect pedatha. After reading and trying a couple of recipes from Pedatha’s cookbook, I felt like I’ve found an emerald gem that would bring good health and good luck to my cooking. Here in this cookbook, the authors Jigyasa Giri and Pratibha Jain captured their Pedatha’s 85-years kitchen experience and wisdom. A blend of hot, sweet, sour and aromatic flavors, often all in one dish - the genius and simplicity of Andhra cooking, are laid out in endearing detail. Rice preparations, simple stir-fry curries, spicy powders, savory rasams and traditional sweets are all explained in Pedatha’s words. The result is like a marriage of perfect flavorings with natural goodness of fresh ingredients. What I particularly liked about this cookbook is how it speaks to us, the Indians. It has an authentic voice which is compelling. I am from Nandyala, Andhra Pradesh and almost all of the recipes are just the way my mother would prepare. There are no shortcuts and there is no compromise in authenticity to please the western audience taste. Accompanied by breathtaking images, the recipes are easy to follow and most of them can be cooked in a short 30-minute time. The only drawback I can think of is, when compared to ‘Hummer’ size cookbooks in vogue now, this book with 61 recipes in 87 pages may look like ‘Toyota Prius’. On the other hand, this may not be a drawback at all. I think even a newbie will easily get an idea and can cook a decent full fledged Andhra feast called “vindu bhojanam”, following the recipes, images and the menu ideas. If you are like me, uninspired by cookbooks that devoid of originality and authenticity, often poor victims of meddling editing and mega publishers pressuring tactics, and hungry for a true Indian cookbook, then this book is for you. You may be a novice or an experienced cook, “Cooking at home with Pedatha” with its clutterfree instructions and clean, pleasant images will definitely assist and delight you just like Pedatha in our lives. Check it out! Cookbooks are dime a dozen here in USA, but they are rare in India. There is no cottage cookbook industry and publishing a cookbook particularly one that focuses on regional cooking is still a big deal. Most of the times it’s truly a labor of love. I wanted to know who inspired and what motivated the authors, and how they survived the brutal publishing phase to bring the book into market. Pratibha and Jigyasa responded immediately to my questions and were kind to this newbie. Thanks Pratibha and Jigyasa! Here is my interview with the authors. You have made an excellent book with uncompromising authentic recipes. What motivated you to write and publish this book? Who is your intended audience? Thank you for the compliments. Frankly, the main motivating factor was pure love. When you meet Pedatha, you will realize how true this answer is. You know Indira, most of the things we have done in life have always been planned. Strangely, this book was never an agenda. Both of us like interacting with elders very much and we just used to visit Pedatha and chat - invariably about food, for such is her passion for cooking. When that personal collection became a book…. it was destiny’s hand and we just went along with the force of it. Regarding the audience, we thought it was a niche product. Therefore, the only way to appeal to a wider audience was the idea of a coffee table book. Honestly, we never ever expected to go into second print, and so soon. Our elders, who are greatly experienced in our cooking styles are exceptional assets for us. “Peddatha” is one such great asset. What did she think about publishing her recipes in the form of a book? She would be very excited about teaching us whenever we visited her. But later, when the idea of a book emerged (initially from Jigyasa’s husband who said this is not a personal collection, this is a book in the making), she was very apologetic and shy. She kept saying it was home food and that there was nothing to it. In fact, she also once said that she feared people would say that she had misled us ‘little girls’ into thinking that her food was exceptional. After all the fame and interviews, she is still as simple as always. We can’t stop marveling at that. But she thanks us a hundred times and laughs - “Without walking the ramp, you naughty girls have made me a model”. She calls us - The three Musketeers. She calls our laptop a lapdog because she says it has been so faithful to her. She thinks the recipes are just as she cooks them. The beauty of the book you made truly portrays the essence of the recipes you put in the book. Cooking is intensively skilled process. Recording and reproducing these processes in the form of a book requires another level of skills too. What was your approach and method to create such wonderful design, photographs and narration? Who was your inspiration? stunned when we saw the results of the camera. I guess from there, we just had to make a book that blended with her pictures. Regarding the layout and graphics, all credits to our team - Prabodh Jain (every adjective mentioned in the thanks note in the book is just apt - creativity and sustained vision) - he nudged us along every step of the way, challenging us not to compromise; Kavitha Shivan, our young layout designer, is a dream to work with (if u put aside her moods:) and spells of inactivity), guess that’s what creativity is about. In fact, Kavitha played a vital role in food presentation. Srivatsa, our photographer, simple, genuine and hard working - ever willing. Pratibha’s mom once asked her brother Prabodh what made him so passionate about this project. He said, “Mom! These girls will kill themselves for that right word, the right phrase (he had seen our endless editing and the dozens of times we tried each recipe). How can any of us not respond likewise!” This was a compliment indeed. I can understand that publishing a book is not as simple a process as preparing a dish. You might have gone through a great deal of work to get the book in to the market. How did you survive through tedious process? Once the book was ready, quite a few friends and relatives came forward to launch the books. You can see that in the calendar page of our site. Pedatha’s son Mr. A.P.Parigi, an encouraging, positive, friendly person, came forward to launch the book in a big way in Mumbai. That evening was a phenomenal success. Apart from that, Westland immediately agreed to distribute in India. We are still far behind in distribution though. As single book authors, it is not easy to get a shelf place in stores. However, since we are primarily ambitious as writers, it gives us that space within ourselves not to get obsessed with sales and marketing beyond a point. What do you think about food blogs and would you like to share anything else with the readers of food blogs? Food blogs are a reaching-out point for most net savvy cooks. It is almost like a huge wave out there. So easy to find recipes now, just a click away. And in blogs, the responses from other readers to the recipes make it interesting, as well as help decision-making. The best thing is the photographs on food blogs - they are honest, the food looks as it cooks. We wish every food blog would have a grandma’s corner - recipes, health tips, and anecdotes. Grandmas and granddads are such an awesome phenomenon. What a wonderful thing that blogs are free! Anywhere, anyone who has something to say or share has a forum to do so. Thanks to food bloggers, our kitchens are constant discovery zones now. I have been cooking several recipes from the cookbook for the last few days. Traditional recipes that I totally forgot until now. One such recipe is plantain curry with mustard seeds paste. Known as arati ava pettina kura, this special, seasonal dish of Andhra is often prepared for festivals. I’ve followed Pedatha’s words and instructions mostly, and added salt and chillies to suit my taste. The result was a spectacular, simple dish, which brought me incredible joy. The kind of joy and happiness one would feel when remembering a cherished memory or taste from the past. Thank you Pedatha! peeled & cut into cubes - boiled in water just until tender & drained. In a wide skillet, heat a tablespoon of oil. Add and toast popu or tadka ingredients listed to gold color. Add the grinded paste. Saute until it leaves the raw smell for few minutes on medium heat. Add in boiled plantain cubes, turmeric and salt. Mix thoroughly. Sprinkle two tablespoons of water and cook covered for about 10 minutes stirring in-between. Serve warm with chapati or rice.